Students from our Medan and Jakarta campuses triumphed in the grand finals of World Mathematics Invitational (WMI) 2018, bringing 1 gold, 3 silver, and 20 bronze medals home, in addition to 17 merit prizes. This year, more than 2,000 students from various countries competed in the finals of WMI 2018 that held on 14 July in Seoul, South Korea. To receive an invitation to the finals of this prestigious math competition, these students had to pass the preliminary round. In Indonesia, the preliminary held earlier this year on February and involved 2,800 students from various schools. In a previous article, we listed the name of our 59 students who qualified for WMI 2018 finals. To all students who participated in this year’s WMI, we are proud of your dedication and hard work! We also thank all parents for encouraging and supporting their children throughout the competition. Without your efforts, these results would not be possible! At Sampoerna Academy, we encourage students to reach their highest potential and prepare them to compete on the international level. Having the support of international curriculum with Singapore math, subject expert teachers, and enrichment classes, our students are able to achieve great feats. Be a part of Sampoerna Academy family so we can nurture your children to attain success in their future. World Mathematics Invitational (WMI) gathers institutes and organizations worldwide that make efforts in promoting and popularizing mathematics. 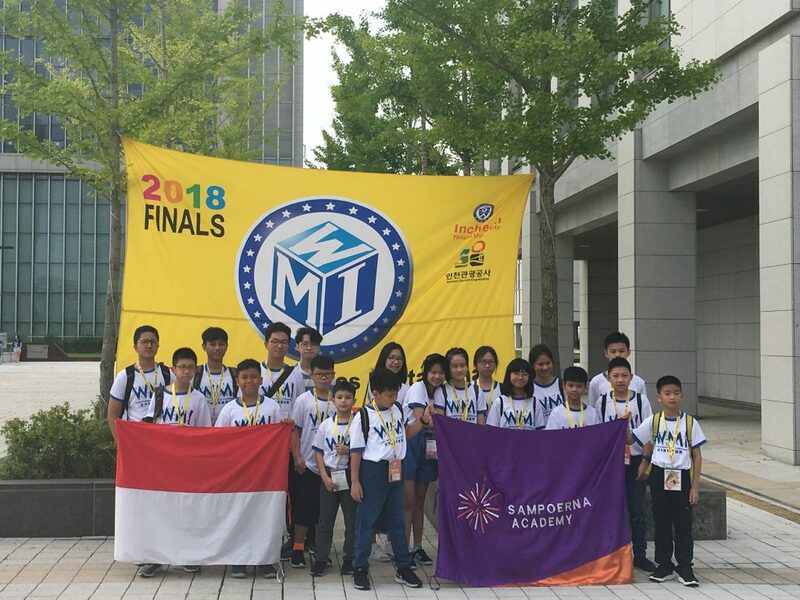 Held in different countries every year, the WMI organization provides math-gifted students with an opportunity to participate in an international competition. To learn more about WMI, visit wminv.org.